I was struggling with how to go about the interview process. There are so many that I wanted to do. 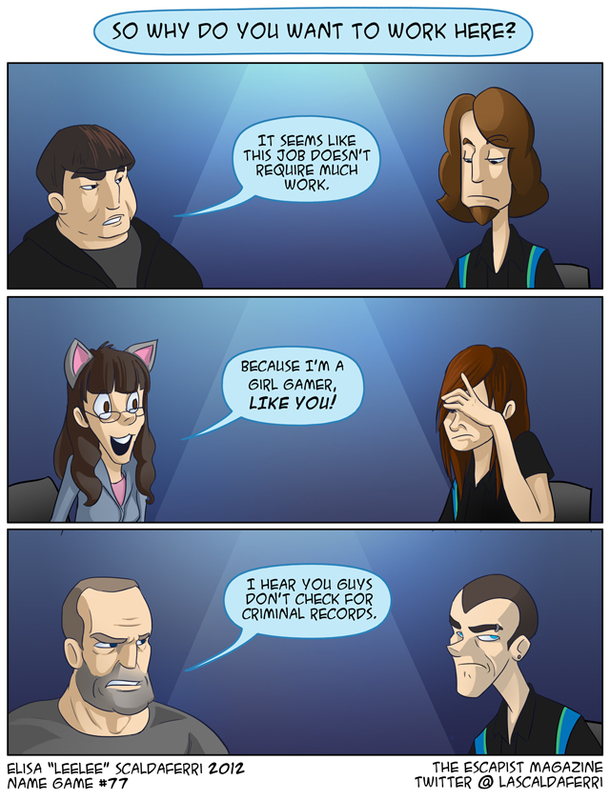 These were all real things we heard during interviews at Gamestop (including the criminal one). In other news, I met the lead Designers of Skyrim and The Old Republic this weekend. I also met a side quest designer from Deus Ex: Human Revolution who graduated from my school. I hope I picked up some of their awesome while they were here.